TWA remain concerned about how the political unrest in Tibet and the use of lethal force by Chinese forces against peaceful Tibetan protestors are making the lives of Tibetans including women and children doomed. We urge the Chinese government to review their draconian policies on Tibet and address the legitimate grievances of Tibetan people inside Tibet. Last week, a Tibetan woman who was seven months pregnant committed suicide when she heard her husband died in Chinese prison. Her husband was identified as Jinpa Tharchin, one of the five identified people from Dema Shupa Township who died in the Chinese prison due to severe torturing on August 18, 2014. 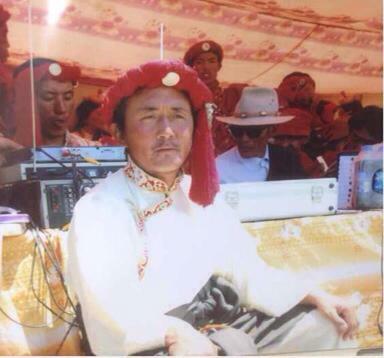 Wangdak was also arrested for complaining against the harassment of Tibetan women by the Chinese authorities. Currently, the situation in Denma Shupa village is becoming more intense as the Chinese armed forces have surrounded the village and civilians above the age of 16 were arrested randomly. So far, five arrested civilians have died inside the prison as a result of severe torture and denial of medical care. The reports coming from Tibet also said that Dawa Lhamo, a 65 year-old relative of Wangdak has been rendered paralyses due to brain hemorrhage caused by severe torture at the prison, she was taken to a hospital after her condition worsen on August 23. However, her relatives were not allowed to accompany her for the treatment.